I have been playing all day with my glue gun, it has been a delightful pleasure. 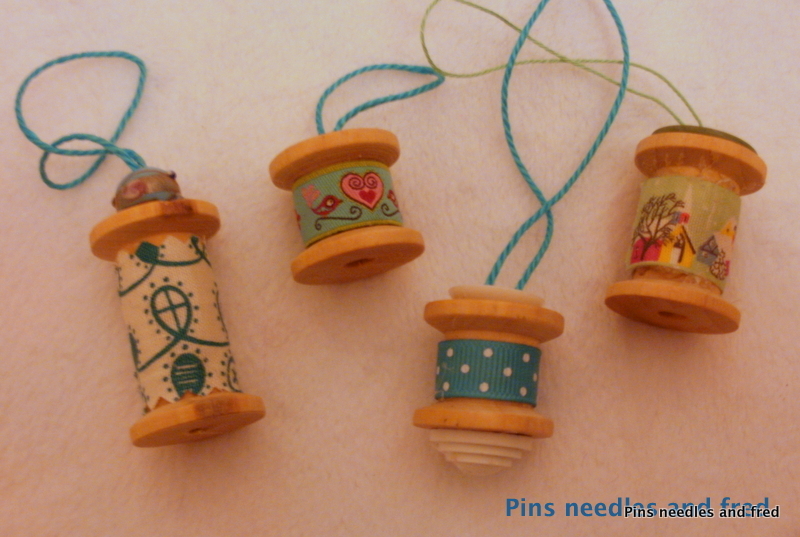 I bought these little wooden cotton reels back in the summer from ebay. 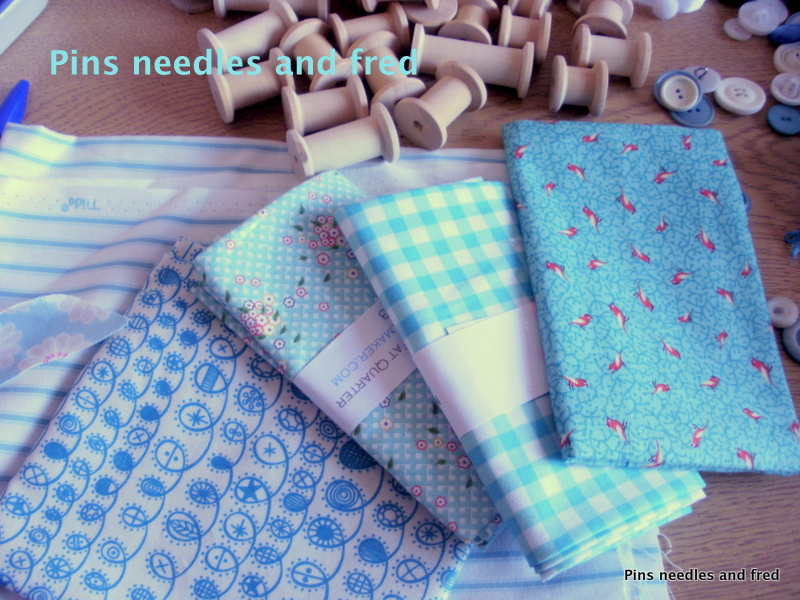 However when they arrived they were too small for ribbon storage and they have remained stored away in a box until I saw the cover of hand made magazine this month. I love the nordic blue for a Christmas colour scheme, it works with both white and a deep red. 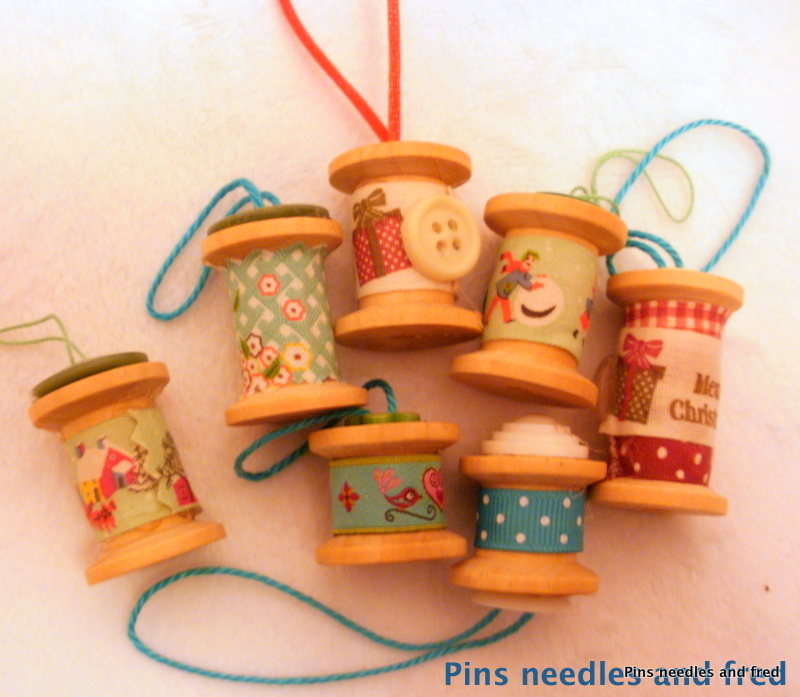 I also have collected some pretty ribbons and vintage buttons. 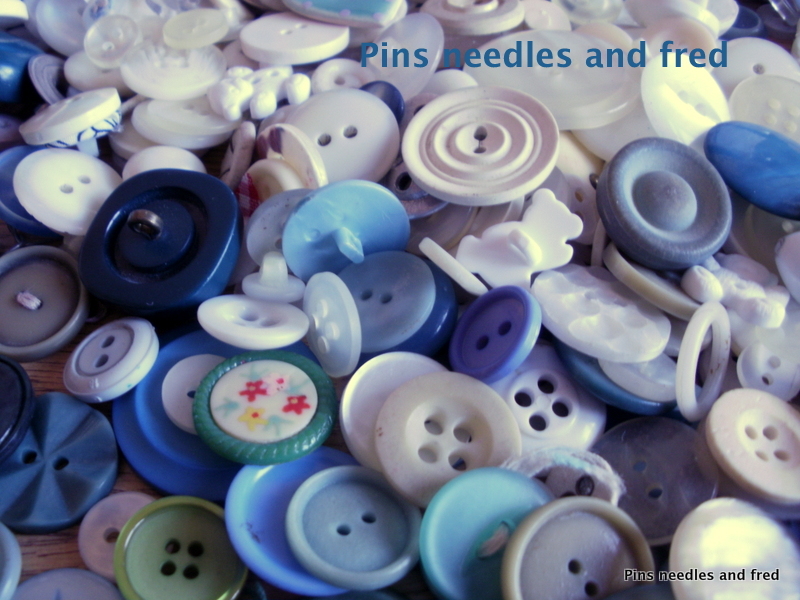 I simply cannot resist buttons in charity shops, they have a story all of their own. When I was a child I played with my Nanna’s button box and I used to love the pretty glass ones, it has created a bit of a collection which I keep by colour in little glass jars. (spice jars seem to be just the right size and these little pots of colour look so pretty on the shelf. I love my glue gun it makes such quick work, as it gives instant results. Cut strips the width of the reel, pinking sheers make such a nice edge. 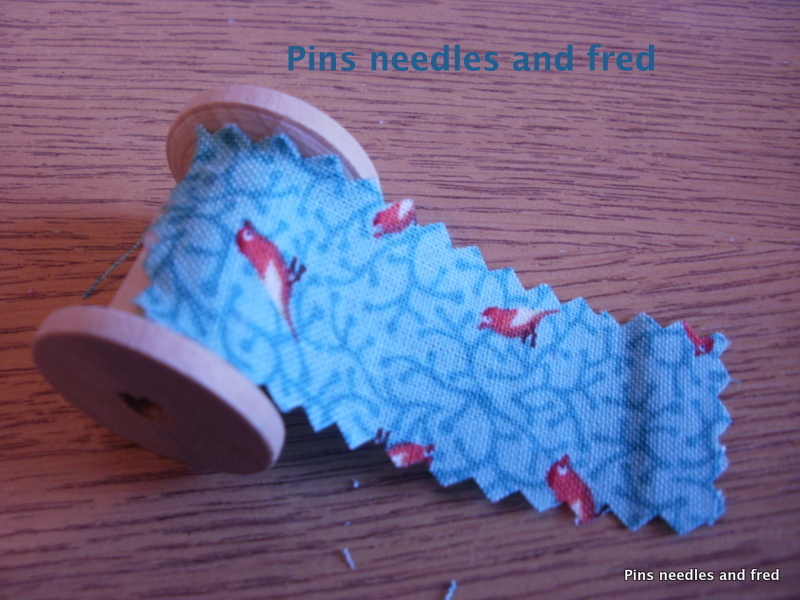 If you glue a small amount each time and press the fabric with your finger. 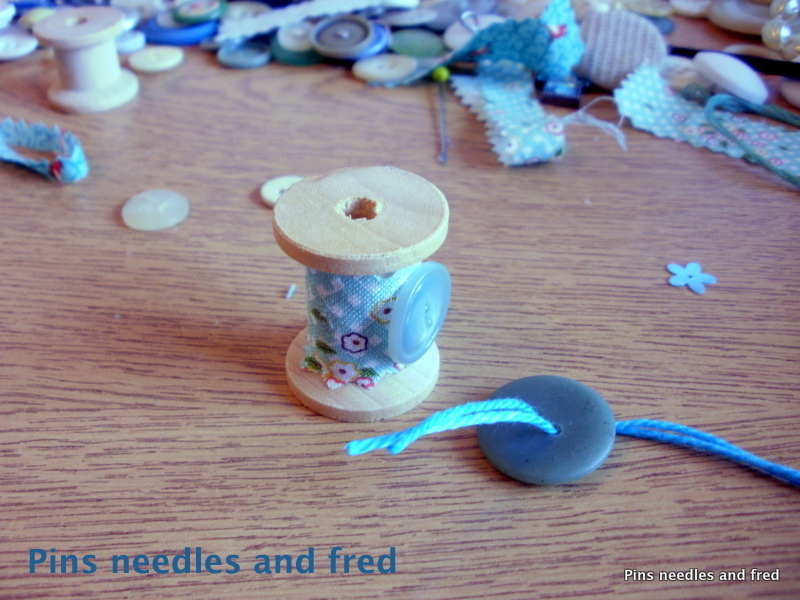 You can decorate the edge with a button, and thread the braid through the holes and tie it in a knot. Add some glue down the hole and push the knot in, add a tiny bit more glue and hold the button down hard on the top of the reel. This will keep the tread in place firmly so you can hang the reel. You can use ribbon too I bought this vintage set from the dotcomgiftshop. I am very pleased with the results and they have a lovely hand made feel. Keep quiet though, it’s not quite Christmas yet!